A Black Friday to Remember | Photography gifts!! A Black Friday to Remember! It can’t have escaped your notice that this Friday is Black Friday. Black Friday marks the official beginning of the Christmas shopping season in the USA and is now also firmly established in the UK’s autumn calendar. It can be an excellent opportunity to find bargain prices on things either that you really want for yourself or that will make the ideal Christmas present for family or friends. At Venture Studios we are wholeheartedly embracing the spirit of Black Friday with five wonderful offers on our photography experiences. Five offers that would make an ideal treat or gift this Christmas. What’s more, four of the offers not only gives you our very best price but also an online e-code for Love2Shop vouchers*, which can be spent in thousands of leading high street stores and major attractions. So not only do you get your photography experience, but also some extra help with your Christmas shopping! The normal price of this package is £1150 , so you are saving an amazing £500! The Maxi Family Experience includes a fun and relaxed photo session with a professionally trained photographer. The session will capture precious moments in time for you and your family. You will then have a viewing session to see the results, and will be able to choose a Maxi framed wall art product in Gallery, Vue or Metro (33” x 33”, 43” x 33” or 43” x 24”) valued at £1000. The normal price of this package is £850, which means that you are saving £370. 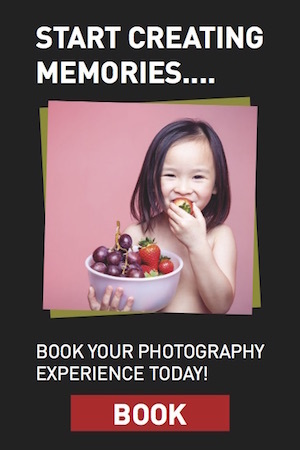 The Midi Family Experience includes a photoshoot and viewing session, as detailed above, after which you are able to choose your favourite image hand-framed in a stunning Midi sized Gallery, Vue or Metro frame (24” x 24” or 31” x 24” or 31” x 15”) valued at £700. Here’s a great idea for Christmas! Two Gold Family Experiences for £130. Our normal price is £175 so you are saving £45. Buying two experiences means that you can either use one yourself and give one as a gift, or give them both as gifts if you’re feeling generous! Please note that one experience voucher is redeemable per household; both vouchers cannot be used by the same family. The Gold experience includes a photoshoot and viewing session and your choice of image in a handmade Mini wall art frame in Gallery, Vue or Metro, (19” x 15” or 15” x 15”) valued at £370. This is similar to the Double Gold experience above. Our normal price for Double Silver is £80 so you are saving £20. For each photoshoot you will receive the image of your choice in a 10” x 8” frame. As with the Double Gold, one experience voucher is redeemable per household; both vouchers cannot be used by the same family. All the above offers are available from Black Friday - Friday 23rd November. But don’t hang around because we can’t offer these prices for long! Click here to Buy Now - and make this a Black Friday to remember! *LOVE2SHOP e-codes must be registered online using our online form, which can be found here: https://www.venturephotography.com/love2shop-e-code-registration/. Once you or your gift recipient has completed their photoshoot and placed their order for framed art, we will email your unique e-code giving you access to your LOVE2SHOP e-codes worth £15 or £50.